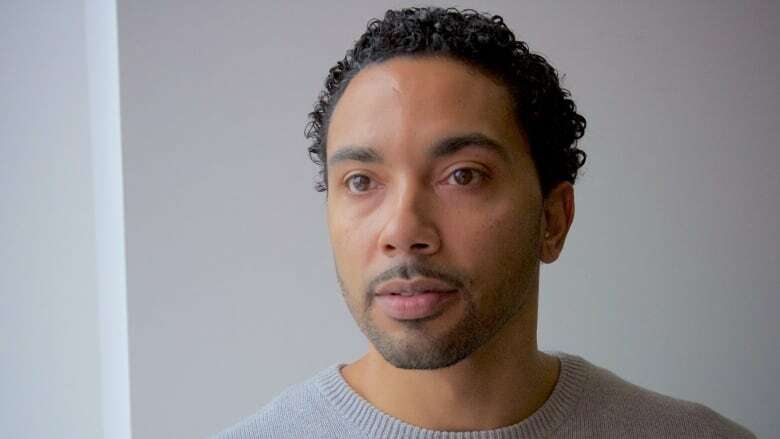 Nova Scotia's Rodney Small reflects on a Supreme Court of Canada decision that upheld a black judge's decision to acquit him of assaulting a white police officer. Rodney Small was leaving Nova Scotia and had no intention of ever returning. It was racist, he'd told his mother, and no place for a black man like him. He was on a plane heading to Toronto in September 1997, but didn't know what he would do when he arrived and wasn't feeling good about his life. So he began to pray. "I was saying: 'Jesus just don't let me go. I know the devil's calling my name, and in fact he's more than calling my name — he's pulling me. I can feel myself being tugged.'" Then he opened the Globe and Mail newspaper and felt saved. A headline declared the Supreme Court of Canada had vindicated him in a case where he was accused of assaulting a white police officer. "That magic moment which takes your faith to a whole other level," Small says of the Supreme Court decision. "I started to align my faith with the values of the Almighty because I knew that the Almighty was real." Twenty years ago today, the country's highest court heard Small's case, which at its heart was about a black judge in Nova Scotia accused by the prosecution of harbouring a racially based bias against police. In a split decision later that year, the Supreme Court not only reinstated Small's acquittal, it also established that judges can take social context such as racism into consideration when making decisions. Today, Small works for Common Good Solutions in Halifax, using social enterprise to try to make good things happen in marginalized communities. This is the first time he's told his own story to news media. It was October 1993, and Small had heard that one of his cousins was being roughly arrested on the edge of Halifax's Uniacke Square. He turned his BMX bike and headed in that direction. Small was 15 years old — a black kid about to come face to face with a white police officer who would claim Small ran into him with the bike, and then hit him. Small maintains that on the day he was arrested he stopped well short of the officer and simply wanted to find out if his cousin was OK.
Then things escalated. Small says he was told to shut up, threatened with arrest and dragged off his bike in a chokehold. As his case wound its way through the courts, Small was referred to by his initials, R.D.S., because he was a youth. The first judge to hear the R.D.S. case was Corinne Sparks, the first black judge in Nova Scotia. She found Small not guilty. "I'm not saying that the constable misled the court, although police officers have been known to do that in the past. And I'm not saying that the officer overreacted, but certainly police officers do overreact, particularly when they're dealing with non-white groups." The Crown launched an appeal, arguing those comments and others by Sparks in her decision showed a racially based bias against police. Nova Scotia's Supreme Court agreed, overturning the acquittal and ordering a new trial, a decision upheld by the province's appeal court. The case ended up at the Supreme Court of Canada. But that journey to justice seemed particularly long for Small and his mother. "Even though she knew that I did not do these things ... After the charges were appealed at youth court, I think she kind of maybe thought that that meant that I was guilty," he says. Add to that the presence of news reporters coming to the house looking for a comment: "She didn't really want me around at that time because of me kind of bringing these people around." Small spent a lot of time with his grandmother, with whom he had a tight bond, but the rejection by his mother still stung. "It hit me where it hurts, in the heart. So it touched me in a way where I was emotionally distraught," he says. "To the point where I don't know if I — I think I started to begin to give up on myself. And then I started to get involved with, you know, things that I shouldn't have got involved in." But the Supreme Court hearing helped him find his way back to his mother. She attended the hearing in Ottawa in his place. "That let me know that she still believed in me even though she couldn't fathom all the attention that was coming about through this," he says. He says he felt saved when he read about his acquittal, but he also knows things might have turned out much worse for him. "I was 15 years old at the time. I mean, without the mental toughness, the support and all the different resources around me, who knows where I would have been," he says. "One thing I can tell you is statistically I'm not supposed to be where I am today. And I have many young men that I grew up with who are either doing life in prison, or are six feet under the ground." In his biography, Jones says of his teenage client and the Supreme Court hearing: "This young kid had no idea what was going on, no idea how significant this was, around this really simple thing of him confronting a cop. R.D.S., Rodney Small, he is the hero of this story."